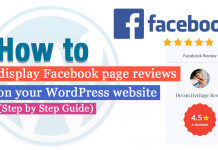 Home Learn WordPress Online - Step by Step (Free Guides) How to deactivate a WordPress plugin? A plugin is a software that adds features to your website that a theme doesn’t allow. There are thousands of themes having many features but a theme can’t fill all the features. Hence, we use a plugin to add the feature to our website that a theme cannot. But when the feature given by the plugin is no more necessary to us, we deactivate a WordPress plugin. There are different of plugins you use in our site to add additional features. When there is some sort of changes in your site, there might be some plugin functioning. In that case, you would like to deactivate a WordPress plugin to remove the feature and activate another one to activate some other features. Why is it necessary to deactivate a WordPress plugin? It is very easy to deactivate a WordPress plugin from your site. Just have a quick look to get the idea about it. When you Click on Installed Plugins, you can see all the plugins that are activated in your WordPress site. Deactivating it instead allows you to activate it without installing the next time. Here your plugin is deactivated now. Do the same in your WordPress site and deactivate a plugin you don’t want in your site. Hence, you know that how important it is for you and your website to deactivate a plugin. You will be sure of doing the same on your site too. The tutorial today taught you to deactivate a plugin on your site too. There are some errors in your site when you have the wrong plugin activated. Therefore, you can now easily deactivate in your site too. If you have any queries related to the tutorial leave it in the comment box below. Previous articleHow to Create Company/Organization Chart in WordPress? Hey Buddy!, I found this information for you: "How to deactivate a WordPress plugin?". Here is the website link: https://wpallclub.com/how-to-deactivate-a-wordpress-plugin/. Thank you.